When most people abroad think of Italian food, they think largely about food from Campania and Sicilia (Sicily). This is because the diaspora of Italian immigrants over the past has drawn mainly from these two regions of Italy. 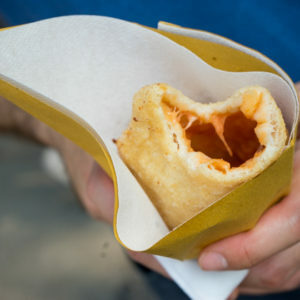 Pizza, and dried pasta, “i maccheroni” to the locals, the two most iconic foods associated with Italy were born here. 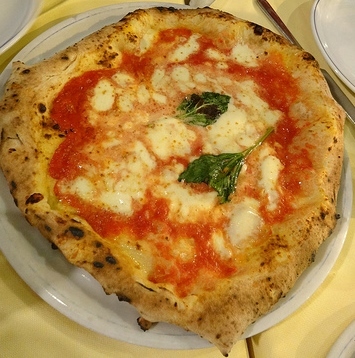 Pizza is from Naploli (Naples), the capital of Campania. 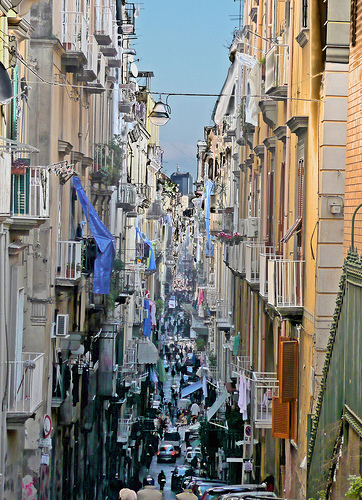 Napoli is also where the dried pasta industry proliferated, coinciding with the industrial revolution when commercial methods for drying and packaging it were developed. Neapolitans are known for being very warm and for their good humour. They are known for having a taste for very flavourful food which is simply cooked. They are, undeservedly, also famous for crime in their city and the mafia. Campania has a long coastline along the Mediterranean with stunning towns one more spectacular than the next winding along the shore road and dotting the scenic islands as well. 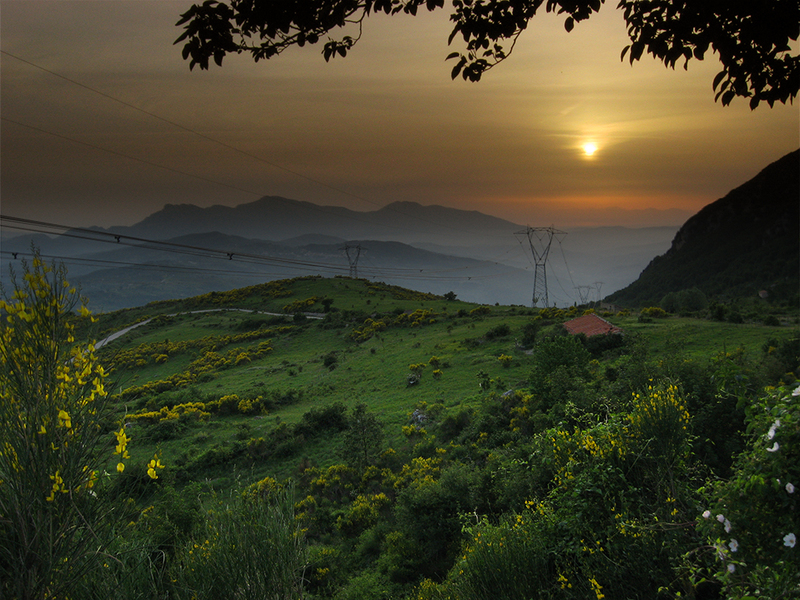 The region borders Lazio to the north, Molise and Puglia (Apulia) to the east, and Basilicata to the south. Campania has a rich and tumultuous history from being colonised by the Romans, Lombards, Byzantines, Arabs, Normans, and then the French/Spanish Bourbons, who ruled the Kingdom of Naples. 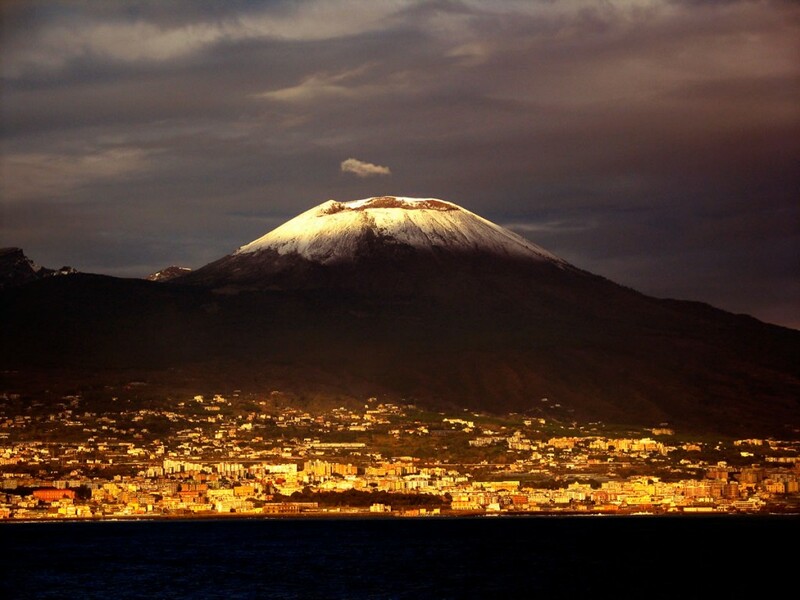 Campania is also home to Monte Vesuvio (Mount Vesuvius), the volcano that famously erupted in AD 79, destroying the towns of Pompeii and Ercolano (Herculaneum). 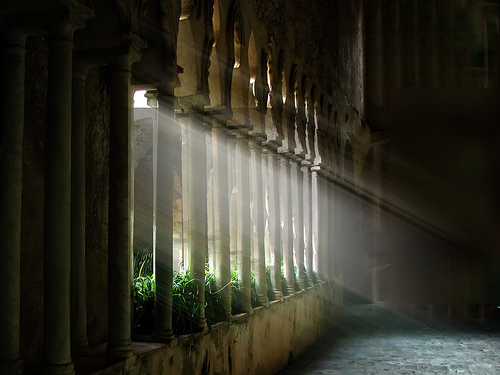 Both of these ancient cities are fairly well preserved and their ruins can be visited. 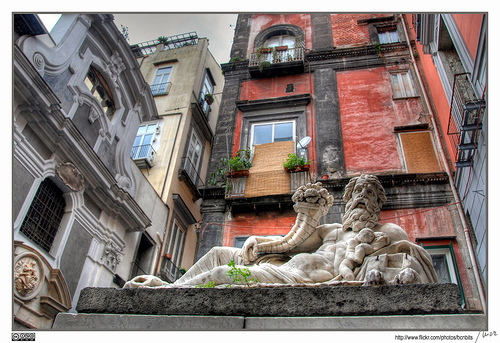 Napoli, while chaotic, should not be missed if not for its food, for its great architecture. Spaccanapoli (which means “Naples splitter”) is the main promenade in the historic centre which divides the city and along its route are the most important sites and museums (the Museo Archeologico Nazionale (Naples National Archaeological Museum) and the Galleria Nazionale di Capodimonte (National Gallery of Capodimonte) in particular). 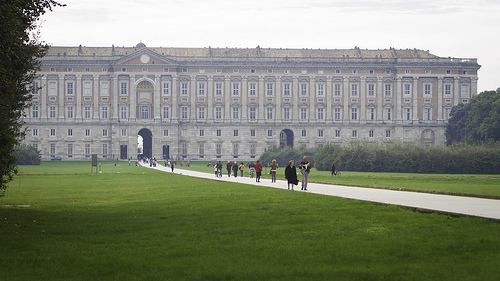 The Reggia di Caserta (Royal Palace of Caserta)is a spectacular Baroque palace that was the former residence of the Bourbon kings of Naples and today is a UNESCO World Heritage site. 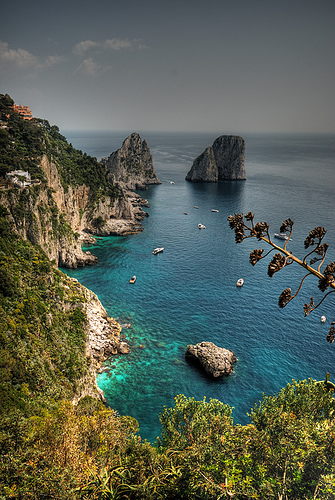 The very posh island of Capri (where caprese salad comes from) has inspired many famous authors and Roman emperors. 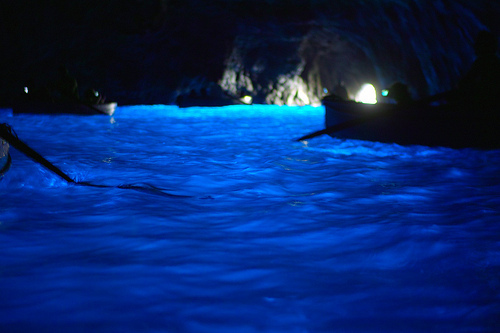 Notable excursions include a visit to the Grotta Azzurra (a marine cave), Anacapri, Monte Solaro, and a take boat trip around the island. 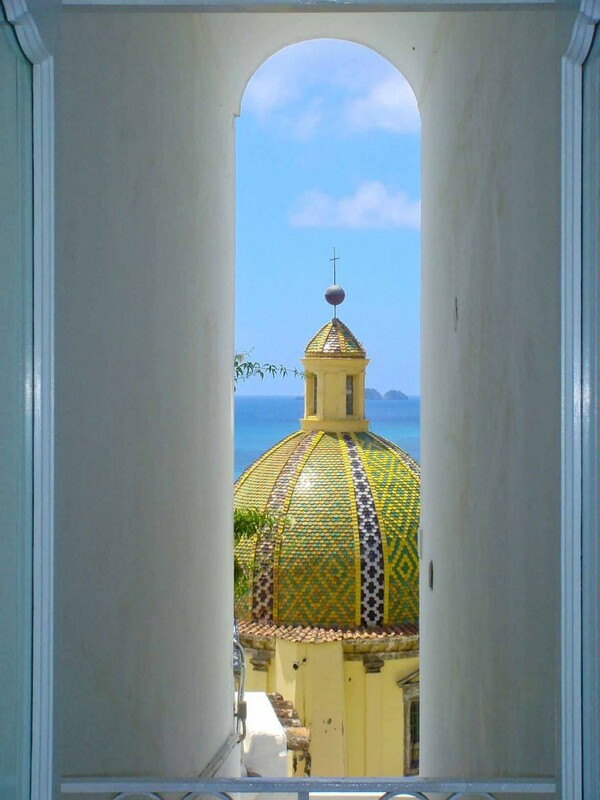 The lush island of Ischia with its beautiful landscapes, good wine, and thermal baths must be experienced. Not to be missed is the Costiera Amalfitana (Amalfi Coast), famous for charming fishing villages and loved by artists and the international jet-set. 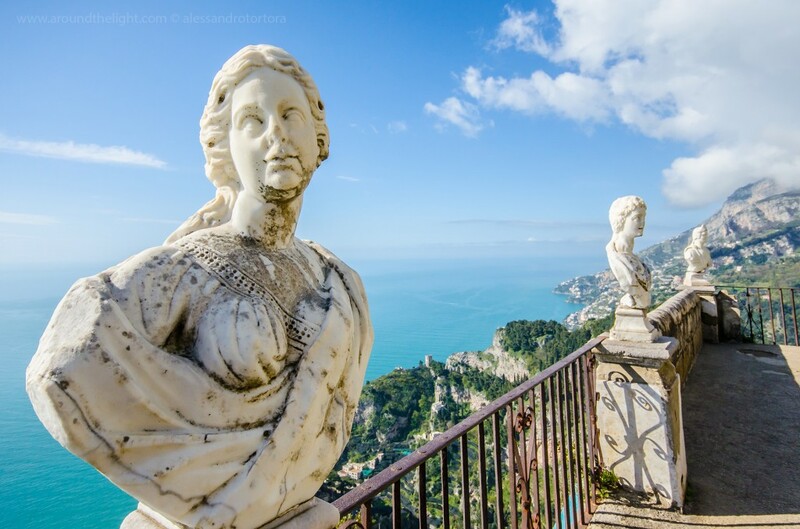 In the Amalfi, the main places to see are Positano, the Vallone di Furore, Grotta Smeralda (a marine cave), Amalfi, Ravello (See Villa Rufolo and Villa Cimbrane), and the medieval town of Salerno. 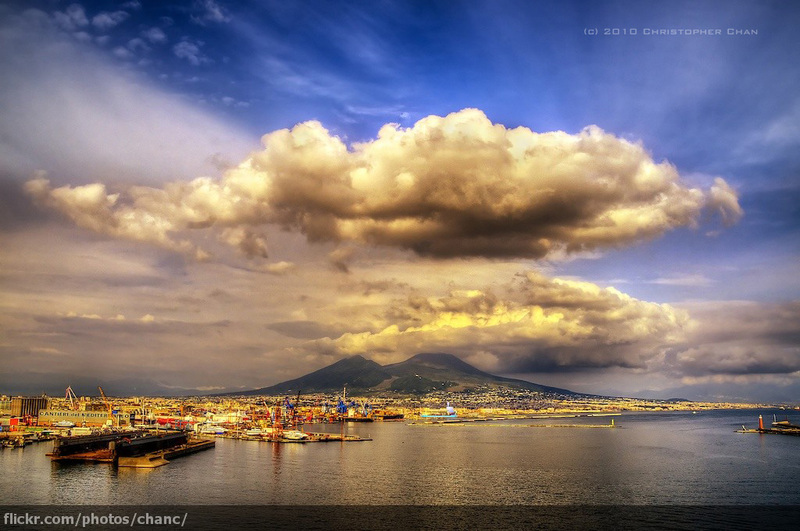 The Golfo di Napoli (Bay of Naples) is a gorgeous area to discover, particularly from Napoli to Cuma. Along this stretch are the Campi Flegrei (Phlegraean Fields), a volcano and national park which has the Solfatara crater, the mythological home of Vulcan (the Roman god of fire). 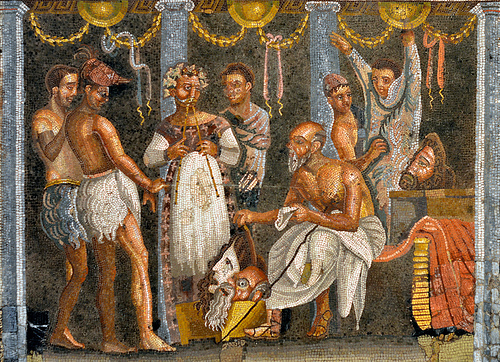 Spirits of the unsuspecting citizens of Pompeii who were buried under lava in the eruption of Vesuvius over two millennia ago still seem to inhabit the Roman ruins of that ancient city, today a UNESCO World Heritage Site. From Napoli drive south stopping in at Ercolano, ruins of another ancient city destroyed by the volcanic eruption; Monte Vesuvio, an active volcano; then Torre Anunziata to see Villa di Oplontis; and then finish in Pompeii to visit the ruins. 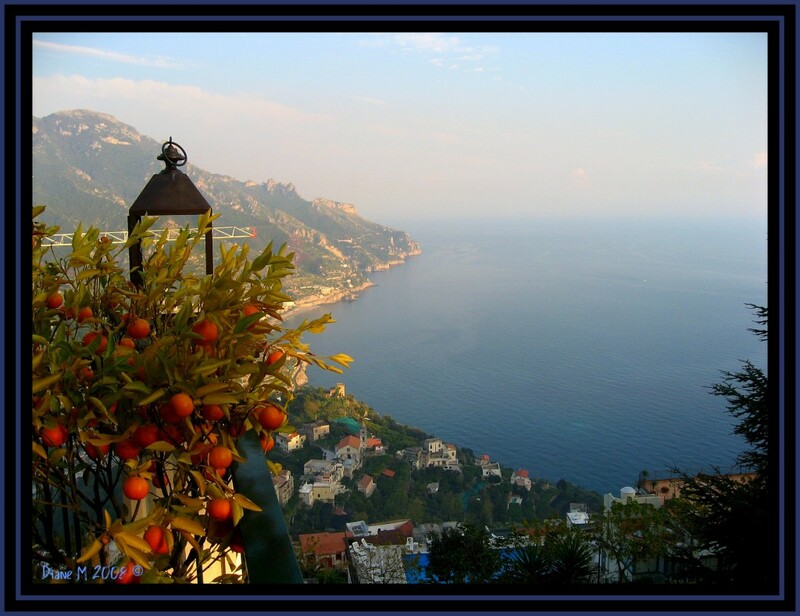 The Sorrentine Peninsula (Sorrento Peninsula) offers a spectacular drive atop the high cliffs that follow the curves of this fabled coastline. One of the best views of the Golfo di Napoli , Monte Vesuvio, and Isola di Capri may be from the town of Sorrento, reached easily from Napoli. 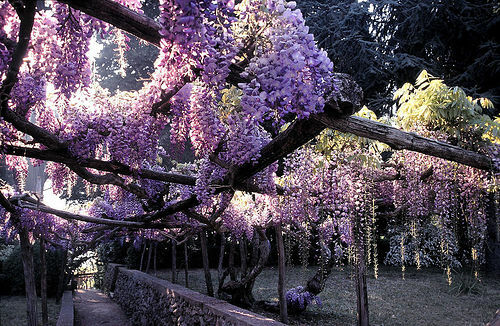 Other places to visit include Benevento (an ancient town), Avellino, Castel Volturno, the Cilento coast from Cilento to Salerno, Golfo di Policastro, Paestum (an archaeological site), Isola di Procida (Procida Island), and Baia Bacoli (Bacoli Bay). 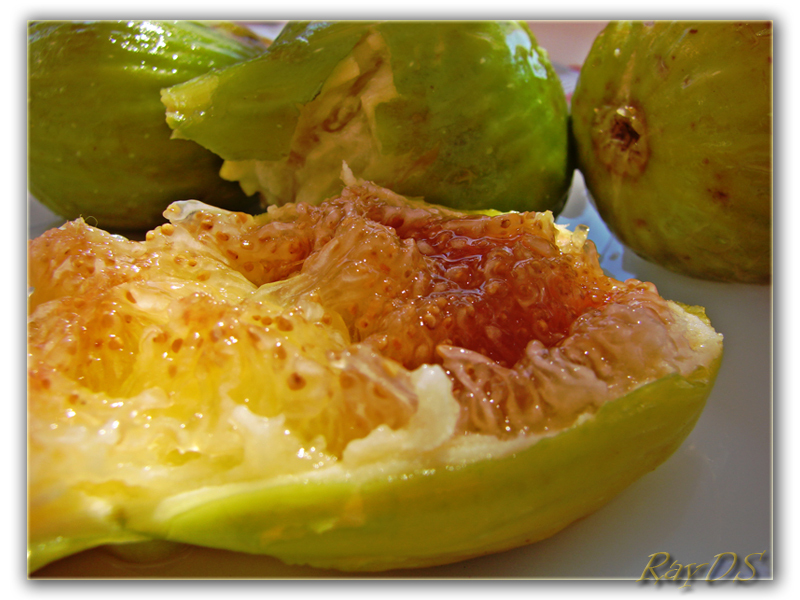 Bring home fichi secchi con miele (figs marinated in white wine, stuffed with nuts, baked and coated with honey, fennel seeds, candied citrus rinds, and anisette), ceramics from Ravello and a bottle of limoncello. Closed Sundays and the 2nd and 3rd weeks of August. Excellent pizza, no points for décor. January to April- closed on Sundays. Excellent pizza. Must queue for a table. Closed Mondays, Christmas Day and Easter. Excellent pizza. It is said that the Margherita pizza was invented here on 11 June 1889 in honour of the Savoyard Queen Margherita. 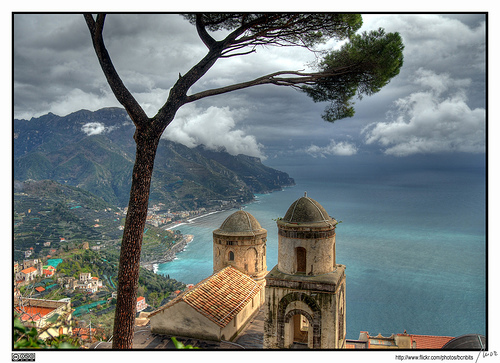 Campania is world famous for its pasta, pizza, tomato sauce, meat sauce, cheeses, fish, and desserts. The colours of the vegetables and fruit here are extremely vivid and very flavourful. 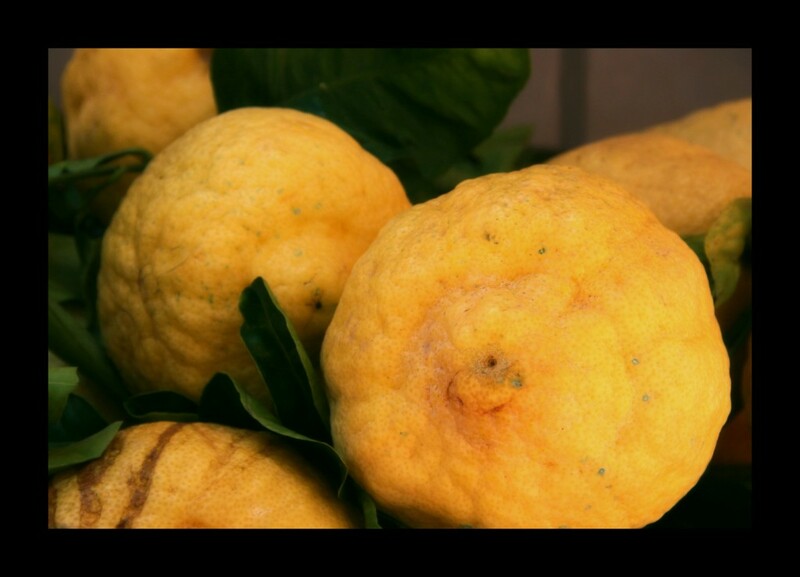 The Nostrano variety of lemon grown here is considered to be Italy’s best. The two most iconic ingredients of Campania are tomato and mozzarella. Tomatoes, Italy’s favourite vegetable, thrive here due to the long hot summers and the volcanic soil. The most famous of the different tomato varieties is the San Marzano tomato that grows on the Vesuvian hillsides because of its intense flavour. The Neapolitans developed a process to commercially preserve tomatoes, something many Italians do at home to be able to enjoy year-round, the abundance of tomatoes their gardens produce during the summer. Now the genuine San Marzano tomato is available world-wide, its botanical authenticity and place of origin guaranteed by the D.O.P. government seal (see tomatoes in the Ingredients section for more information on the San Marzano variety and see DOP defined in the How-to section for an explanation of importance of the D.O.P. government seal). There are many varieties of mozzarella but it is most commonly sold as a white ball of stretched curd cheese soaking in its whey. Mozzarella may also come in braids or in a pear shape (burrata). 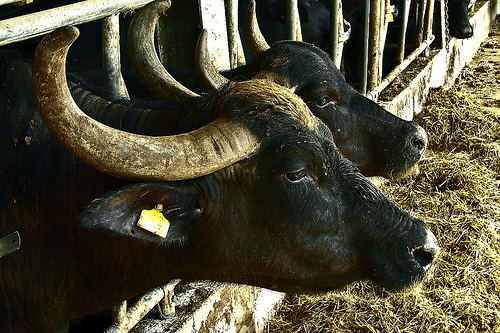 Genuine mozzarella is made from the milk of the black water buffalo and is known as mozzarella di bufala. Like the San Marzano tomato from this region, it carries an official “DOP” seal, granted to it to ensure its origin from Campania, Lazio, or Puglia–the main production areas. Mozzarella made from cow’s milk is known as fior di latte or fiordellatte. The authentic mozzarella should be eaten as fresh as possible–by local standards this means within two hours, but practically, within a day. Only recently has it been possible to vacuum-seal the mozzarella for transport abroad. Purists say that hand-made mozzarella di bufala is only worth eating on location within hours of its production, but restaurants and specialty grocers sell the vacuum-sealed cheeses to enthusiast markets abroad. Other varieties of mozzarella include provola or provolone (lightly smoked and matured), caciocavallo (a gourd shaped buffalo or cow milk cheese), and scamorza (a smoked mozzarella). The Golfo di Napoli is known for its tasty seafood and in the past Neapolitan seafood carts selling oysters, mussels, sea truffles, clams (vongole verace), and sea urchins were a common sight in the city. 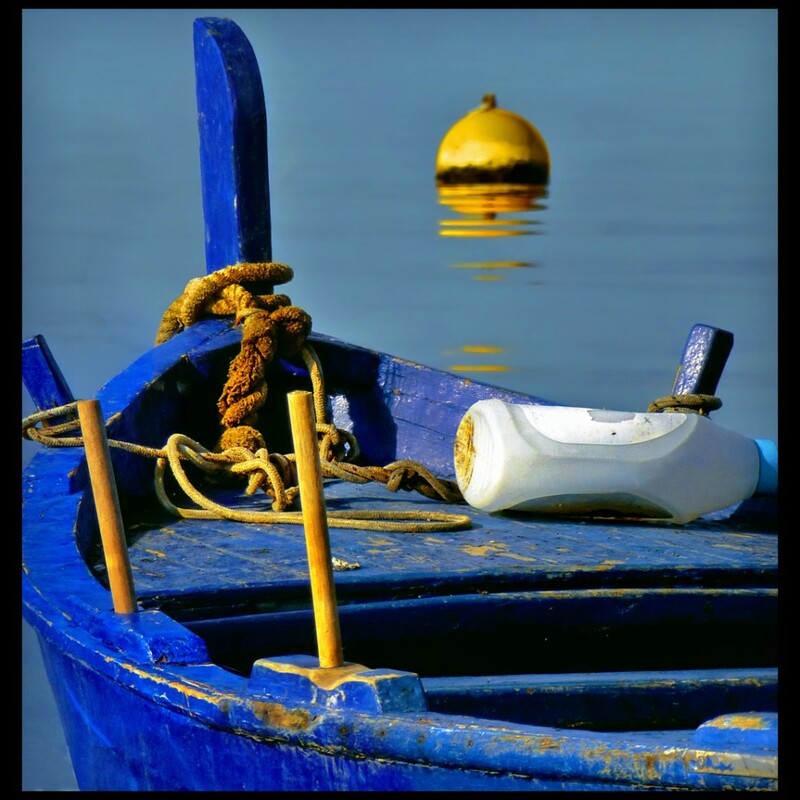 Anchovies, red fish, and sea bass are other well-known fish from the Golfo di Napoli. The fishermen arrange the fish into a curve before selling so that buyers can determine their freshness as once the fish is past its prime, rigor mortis would set in, returning the fish to its natural shape. Other typical local ingredients include: olives, oranges, figs, melons, almonds, wheat, cereals, spelt, corn, cow and buffalo milk, sausages (including cervellatine, filetto e filettone di Vairano Patenora, and salsiccia di polmone), rabbit, salami, pancetta, cima di rapa buffalo meat, pork (including the semi-wild Casertana pig raised on acorns, chestnuts, and wild vegetables), goat, sheep (particularly Laticauda and Bagnolese), pork crackling (ciccoli), sardines (salted and fresh), anchovies, salt cod, mandarins, chestnuts, cherries, chicory, beans, apricot, artichokes, persimmons, lemons, apples, aubergine, hazelnuts, walnuts, potatoes, chillies, peppers, pears, peaches, cauliflower, plums, grapes, pumpkin, zucchini, and fennel. Whew. I should have just said Campania has an abundance of ingredients! The food here is very flavourful. Festive occasions in Campania are known for the good humour of the people, the scent of pizza, and of course, for the food. 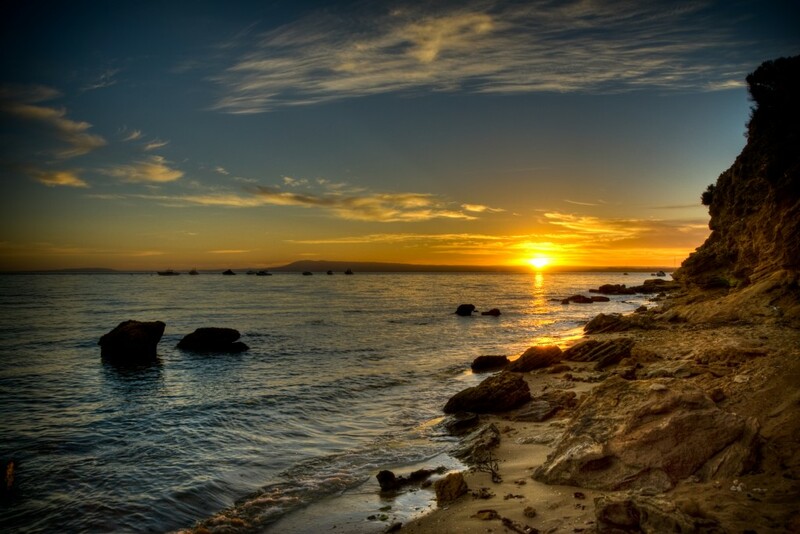 Fish rather than meat, predominates in this coastal region. Their famous pasta (the best dried pasta (pasta secca) in all of Italy is made here) is topped with ragù napoletano (their signature meat sauce made from the gravy of roasted pork or beef with onion, red wine, or tomato purée). 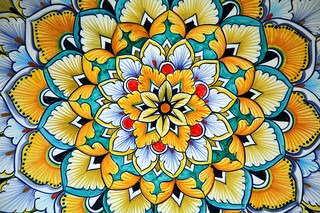 Napoli loves confections, especially elaborate pastries. Doughnuts, (frittele), and numerous other rustic sweets are deep-fried in olive oil. Sound unhealthy to you? 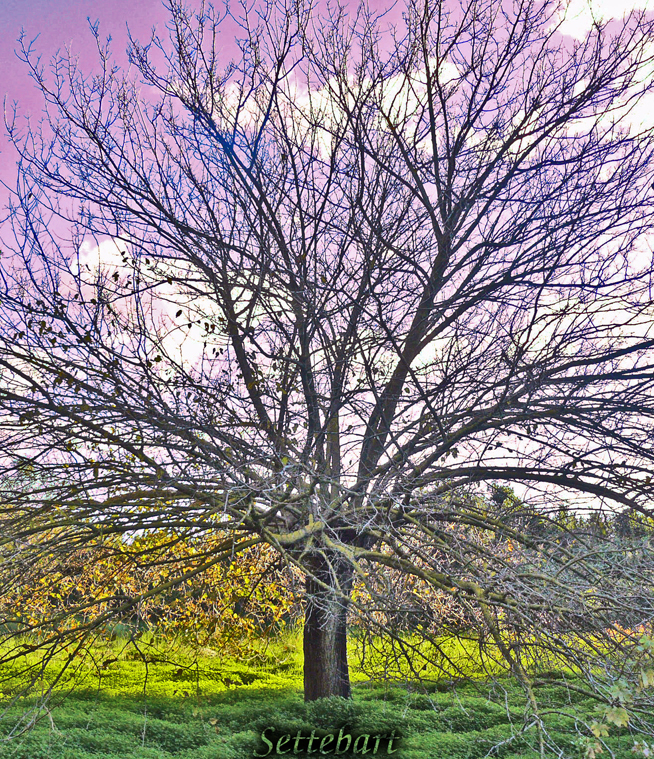 Campania’s diet has been much analysed since the scientist Ancel Keys found the lowest rate of heart disease in the West here in the 1950’s so think again. Key’s study concluded that the predominance of pasta secca (dried pasta made with durum wheat semolina, not refined white wheat flour) and the preponderance of vegetables, including the ubiquitous tomato, is what he accounted for the low rate of heart disease. 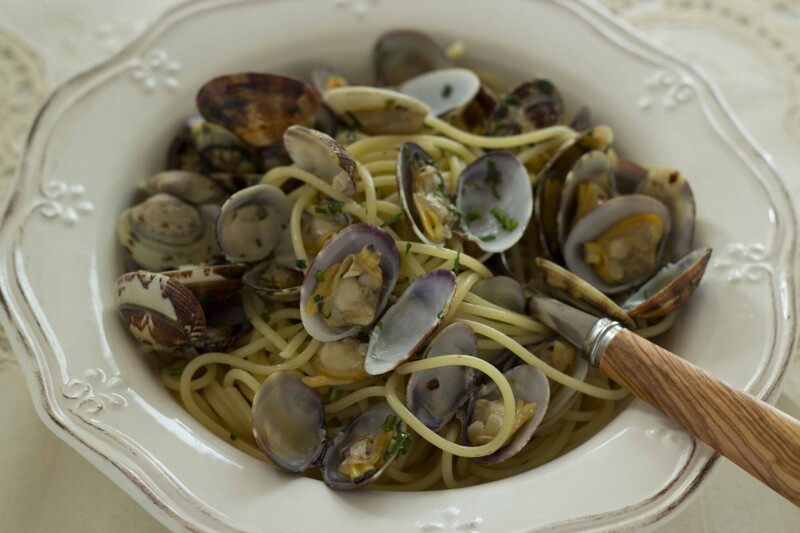 See recipes from Campania here. The residents of Napoli are known as “mangiamaccheroni” (meaning “maccheroni eaters” – maccheroni being a general word for dried pasta) because dried pasta production started here about a hundred years ago. 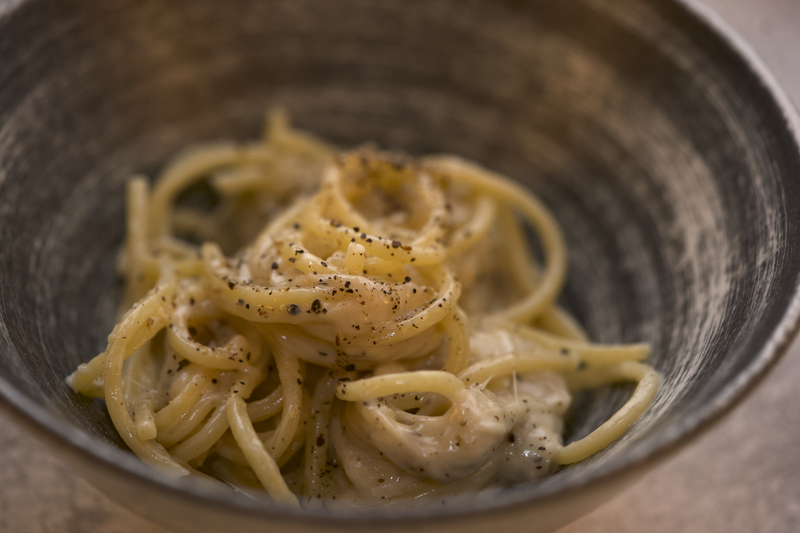 Pasta used to be sold by the plate by a maccheroni vender; one could pay extra for some sauce on top. 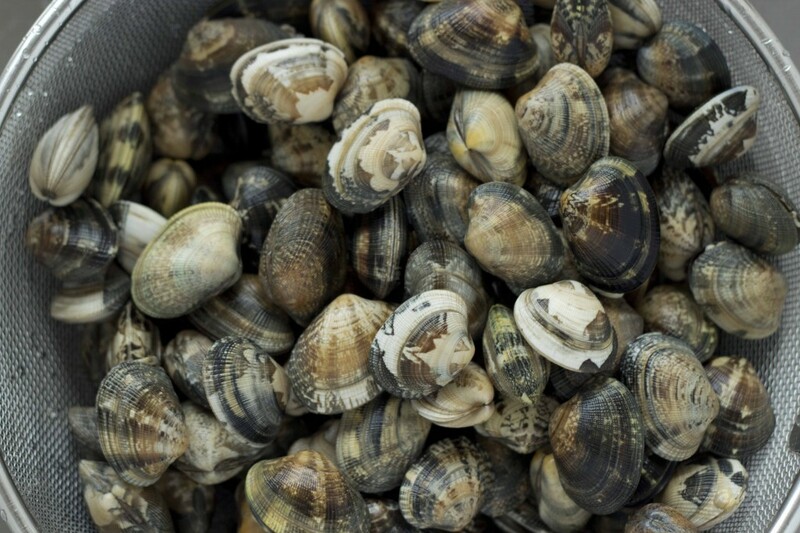 It was a cheap source of food for the population, and still as popular today. Just a note, “maccheroni” in Campania means any dried, factory-produced pasta including long strand cuts such as spaghetti and stubby short ones such as penne, while north of here it means thick hollow pasta shapes, long or short. Outside Italy macaroni has come to include only short, hollow, half circle pasta shapes such as elbow macaroni, rigatoni, penne, etc. The most famous dish from Campania, pizza, dates back to Roman times when it was called “picea” (and was served without tomatoes as they had not yet been introduced). Pizza is now popular all over Italy and, in fact, all over the world. Outside of Napoli, pizza began its worldwide, meteoric rise in popularity in New York when the first Neapolitan pizzeria was opened in 1905. 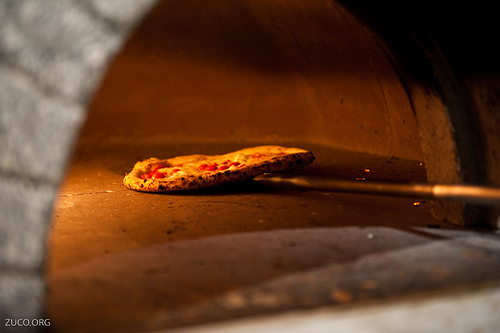 After pizza became popular in the U.S., it eventually travelled to northern Italy, in the 1970s and 1980s. In general, although often quite delicious, pizza has rarely been successfully replicated outside of Napoli. One must go and try the real thing at least once. So irresistible was the Neapolitan pizza that King Ferdinand I is said to have disguised himself as a commoner to be able to sneak into pizzerias. It was not considered suitable food for monarchs in those days but not be deterred, Ferdinand II had pizza ovens built near the palace so he could indulge his appetite for the pie whenever he fancied. Subsequently, the House of Savoy ascended the throne in 1861 and in 1889 Umberto I and his wife Margherita were honoured with a pizza named in Queen Margherita’s honour. 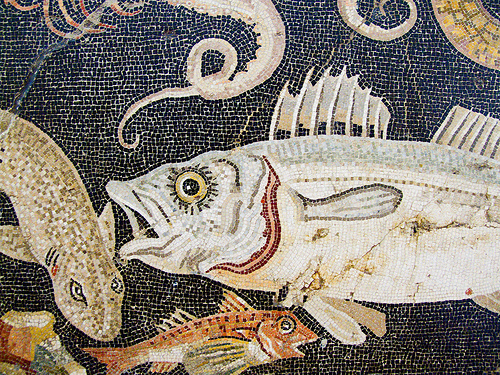 Because Campania, aside from the royal courts in Naples, was a poor province, meat and fish were scarce. Thus many of the popular dishes were focused on vegetables, cheese, breads, pizza, and pasta. Parmigiana di melanzane (aubergine layered with mozzarella and tomato) is a one of the region’s signature vegetable-based dishes (“parmigiana” refers to the scattering of parmigiano-reggiano cheese between the layers of fried aubergine, tomato sauce, and mozzarella, not to any link with Italy’s northern Parma province from whence the famous cheese comes). 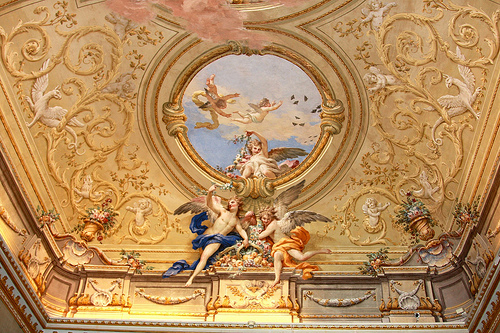 The royal courts in the Kingdom of Naples enjoyed an array of dishes and were famous for their master chefs, called “monzù”, who learned the art of French cooking under the Bourbons and then modified it to local preferences. 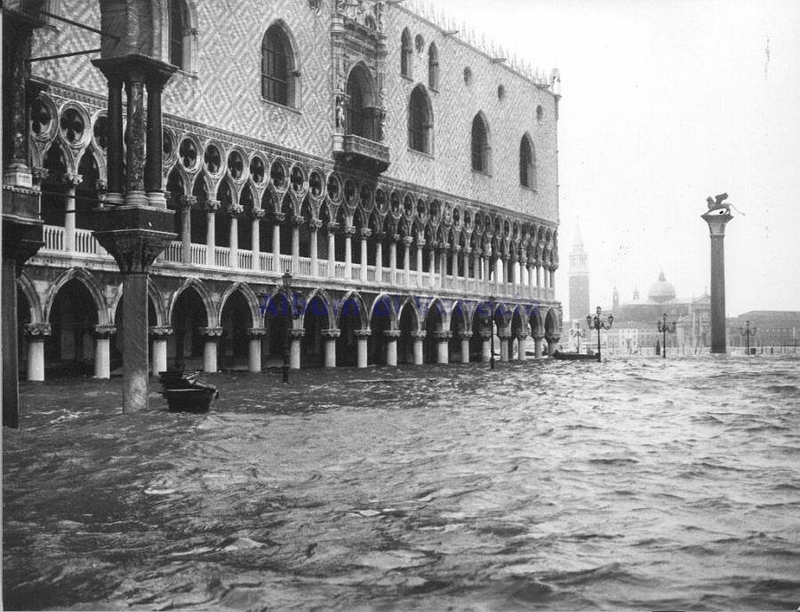 The monzù devised original recipes based on lavish use of flavourful local ingredients and were known for elaborate meals which took hours to prepare. Today master chefs are still called monzù. 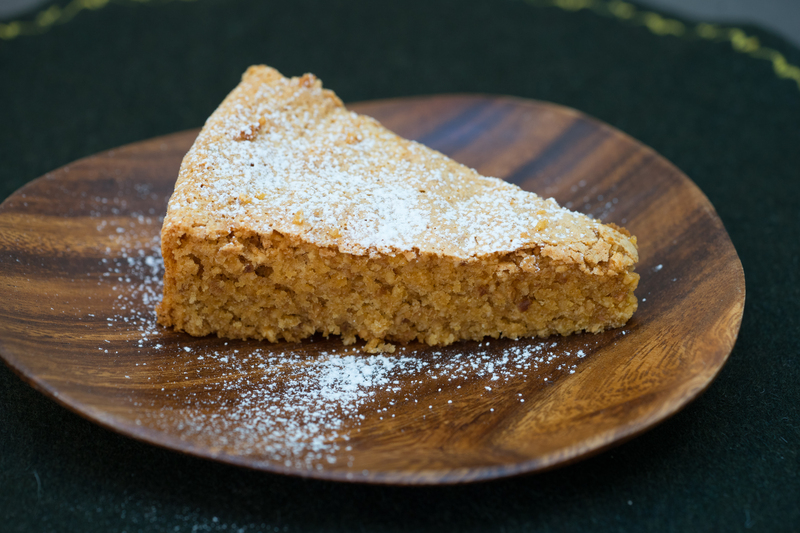 Campania has a serious sweet tooth and there are many desserts that are native to the region. 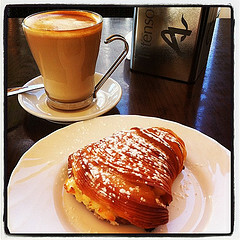 The most famous are sfogliatella, pastiera, babà and sorbets. There are some very promising red wines made from Aglianico grapes from Taurasi and white wines from Fiano grapes from Fiano di Avellino and Greco grapes from Greco di Tufo. 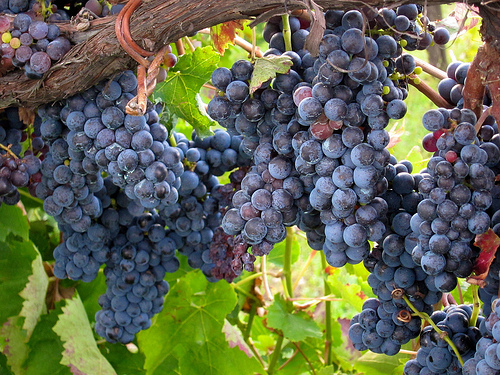 Reliable producers of Aglianico grape based red wines include Contrade di Taurasi, Mastroberardino, and Terradora. The best producers of Fiano di Avellino white wines include Feudi di San Gregorio, Mastroberardino, Terradora, and Villa Diamante. 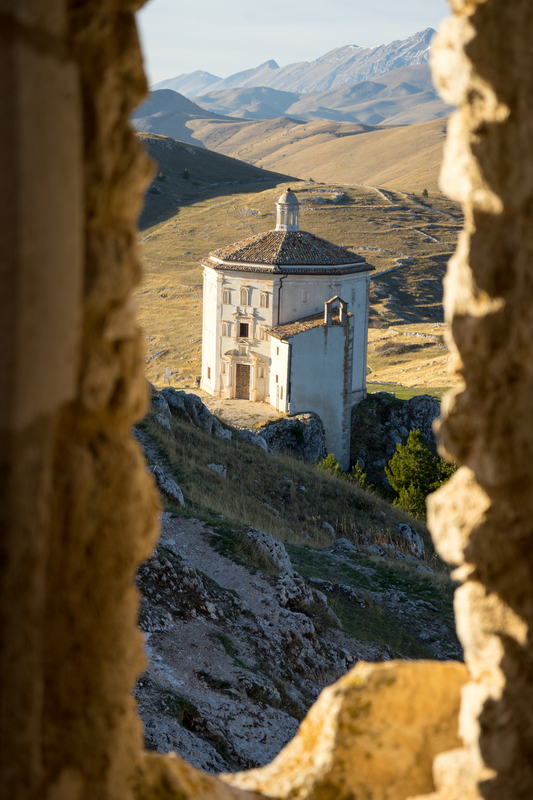 Producers of Greco di Tufo white wines to look for include Ciropicariello, Quintodecimo, and Terradora. 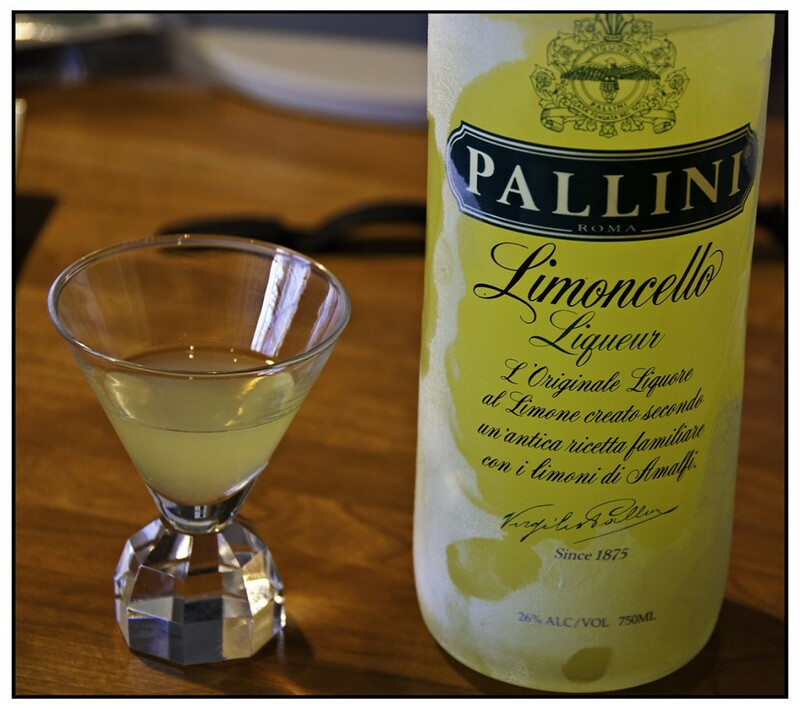 One of my favourite after dinner drinks on a hot summer night is limoncello, a lemon liqueur from here.